Makeup Geek have their basic eye shadows, duo chrome shadows and foiled shadows. 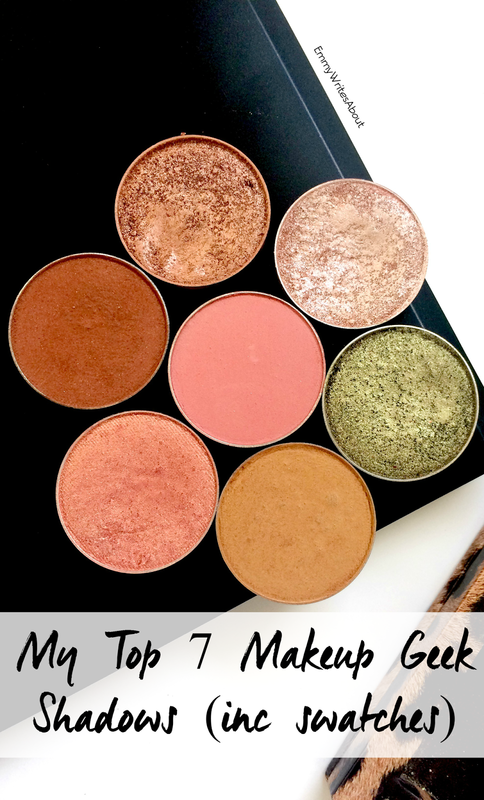 In this post I have picked three foiled shadows and four regular shadows including matte and shimmer. 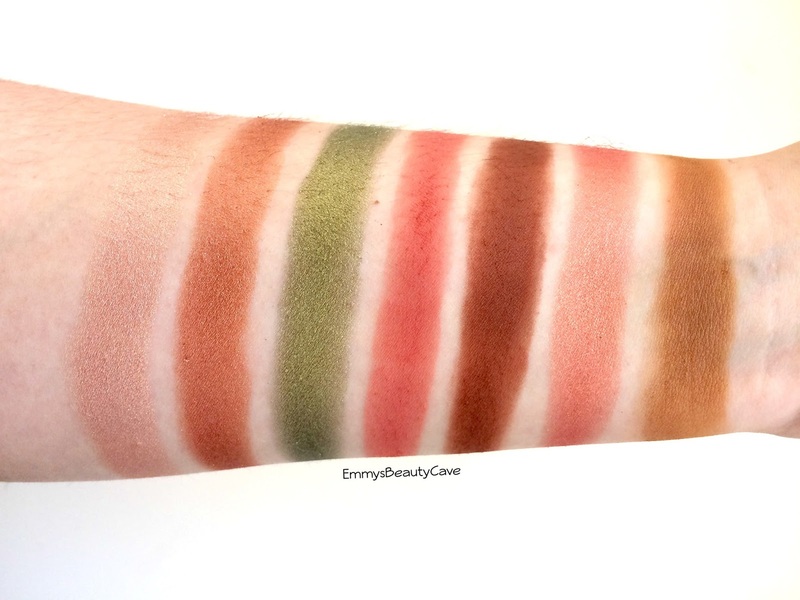 You can see my full Makeup Geek Collection Here which includes swatches of every shade. Since that post I have gained a few more so I will be doing an updated post soon. Starry Eyed | Pearl Champagne Shade which works well all over the lid, on the inner corners or it can also be used as a cheekbone highlight. Grandstand | Your Bronze/Copper which looks stunning on the lid. I get so many compliments when I wear this shade. Jester | Your true olive green with a kick to it. Green shadow has never been my thing but this shadow just looks gorgeous! I have blue eyes and dark hair and it really makes my eyes pop. Cocoa Bear | A Reddish Brown. This is the one shade you hear everyone rave about, at first I wasn't sure but now I use it in so many looks. It is perfect on the outer corners or all over the lid. Tuscan Sun | A Terracotta Pink, this is one of my newest shades hence it looking like it hasn't been used much but honestly I wear it alot and soon it will look well loved. This shade is probably in my top three! It just looks gorgeous without being too bright. Desert Sand | Dark Mustard Shade, I beyond adore this shade! It is such an unusual shade and I can't get enough of it. I either use this in my crease or all over the lid. Cosmopolitan | A Peachy Pink Shimmer, this so pretty! I especially love pairing this with Tuscan Sun in the crease and this on the lid. Those two shades also work well with Mango Tango. You can buy Makeup Geek Eyeshadows in the UK from Beauty Bay or in the US from the Makeup Geek Website. 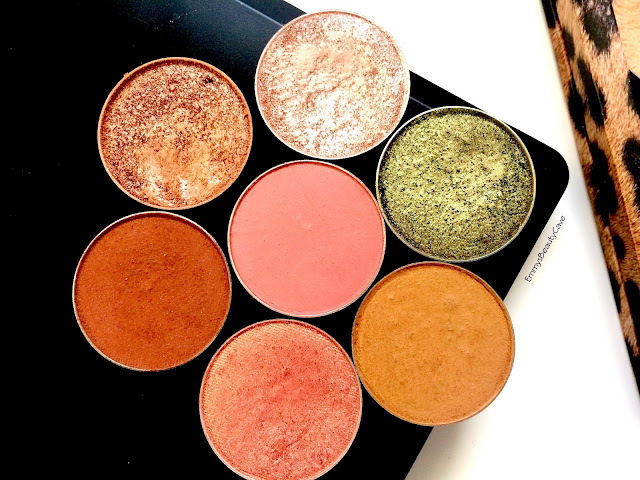 What are your favourite Makeup Geek Shades?